Bolsters & Things offers a comprehensive range of quality Yoga Props & Yoga Accessories, specialising in handmade bespoke Yoga Bolsters. 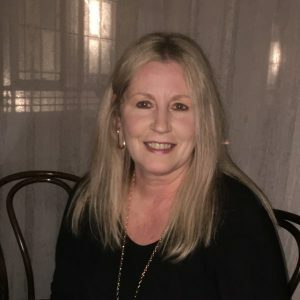 Jacqueline Dobrilla is the proud owner of Bolsters & Things, as well as the principal of Yoga Balance Studio & Gift Shop, located in the picturesque town of Strathalbyn, South Australia. Jacqui has been practicing Hatha Yoga for over 20 years, and became a fully Qualified & Accredited Yoga Teacher in 2010. She is a member of Yoga Australia (YA), formerly known as the Yoga Teachers Association of Australia (YTAA), and also a member of the Yoga Teachers Institute of South Australia (YTISA). Jacqui is also a qualified Reiki Level 1 & 2 Practitioner, and offers private Reiki sessions by prior appointment. Yoga, Meditation & Reiki all provide wonderful opportunities to Relax and Revitalise… body, mind and soul. Given Jacqui’s extensive yoga background, the purchase of Bolsters & Things in early 2011 from fellow Yoga Teacher, Graham Clarke, seemed like a natural progression and an authentic path for her to follow. Having previously purchased Yoga Props and equipment from Graham Clarke for her own Yoga Balance Studio whilst he was still the owner of Bolsters & Things, Jacqui was already familiar with the superior quality of the handmade Yoga Bolsters on offer, as well as the solid reputation Bolsters & Things had developed since its inception in 1994. Jacqui remains committed to providing first class Yoga Equipment and Yoga Accessories at very reasonable prices, and has also introduced a wonderful new collection of complimentary accessories which are intended to further enhance your yoga and/or meditation practice, as well as your life “off the mat”. Contact Us Today to discuss your specific yoga requirements.